They make such easy and effective home accessories. The best decorating item is one that's also useful. Books -- antique or new, hardcover or paperback, big or small -- are the easiest, and most effective, accessory that you can have in your home. Books add individuality and personality. 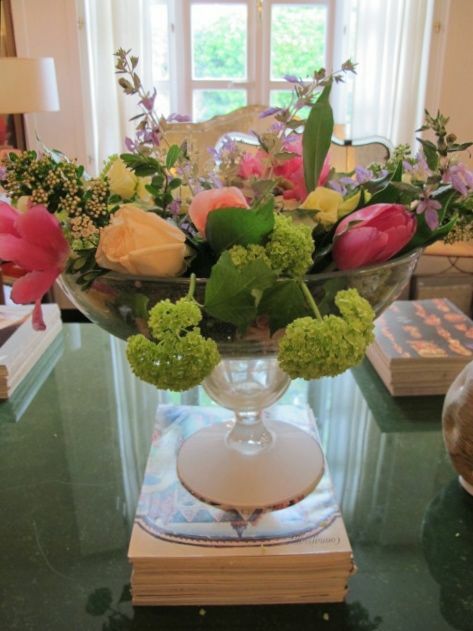 They can become a pedestal for a small item or provide an interactive coffee table decoration. They can even be presented in such a way that they become an artistic statement. On trips around the world, I've seen many unique approaches to displaying books. 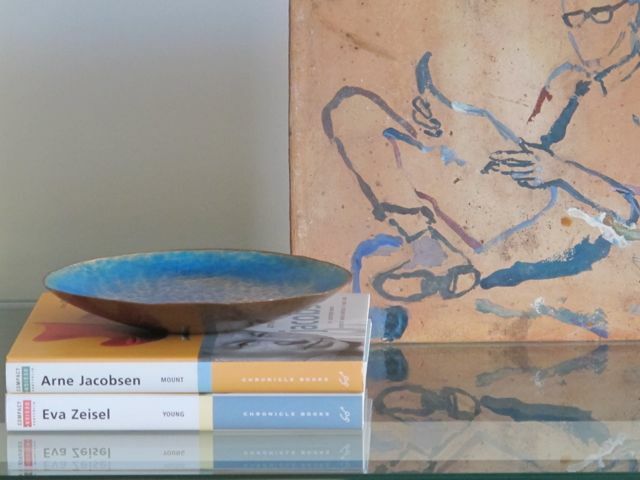 Books of the same color, grouped together, make a striking statement. 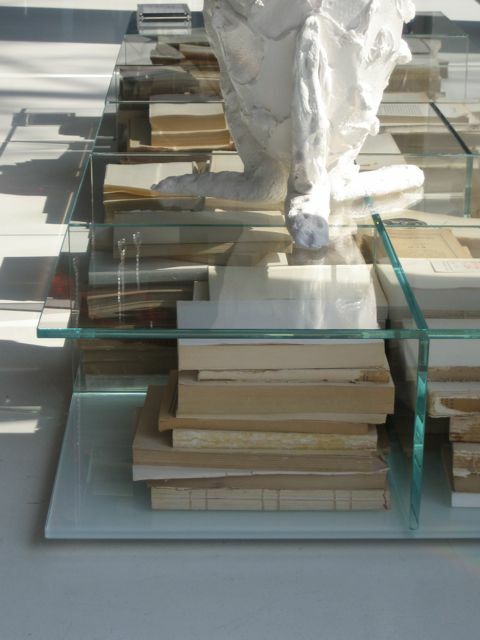 This bookshelf of white books was in a store in Milan. Create art by stacking the books both horizontally and vertically, or even at angles. 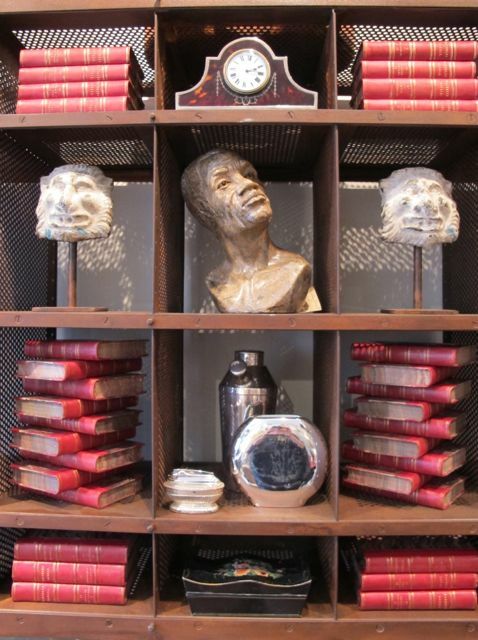 I loved how these red leather books, in an antique store in London, were stacked at angles on one shelf. 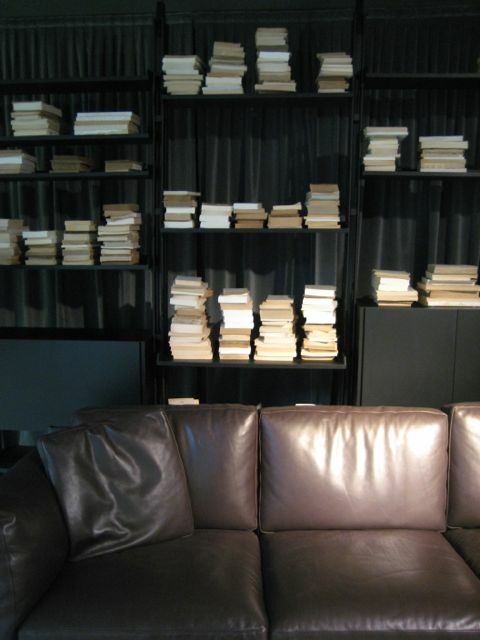 Books with the covers removed create a distinctive vignette on a bookshelf and side table in Paris, and fill the base of a glass coffee table in Milan. 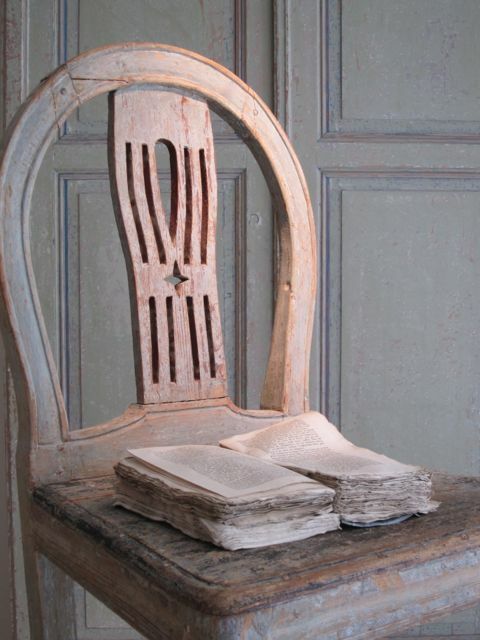 In the Paris flea market, these ancient, falling-apart books were bundled together with twine and used to fill the compartments of an antique secretary. Archaic books in this Copenhagen antique store are displayed on a Scandinavian chair and tied with a vintage silk flower. 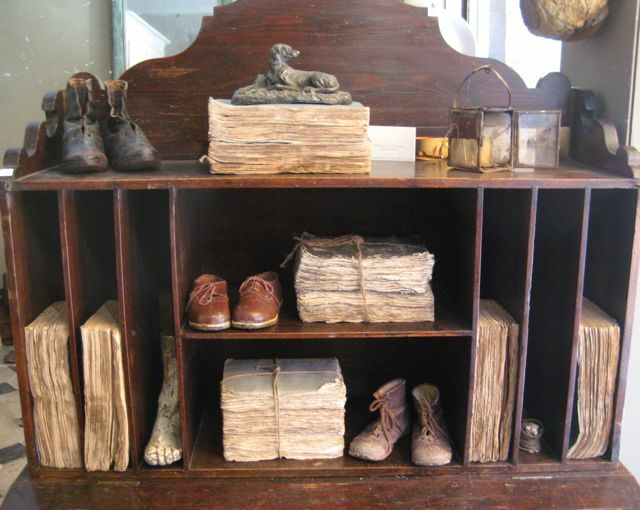 Books and magazines can also make a unique pedestal for decorative items. 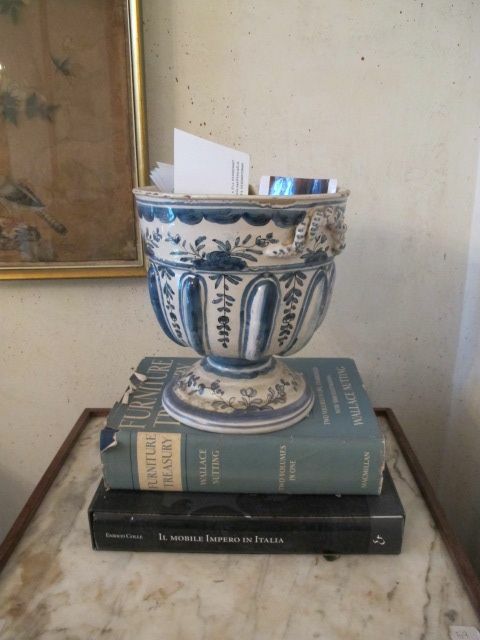 In an antique store in Genoa, Italy, magazines are a base for a glass compote filled with fresh flowers, and a couple of books prop up a footed ceramic bowl that's a catchall for mail. 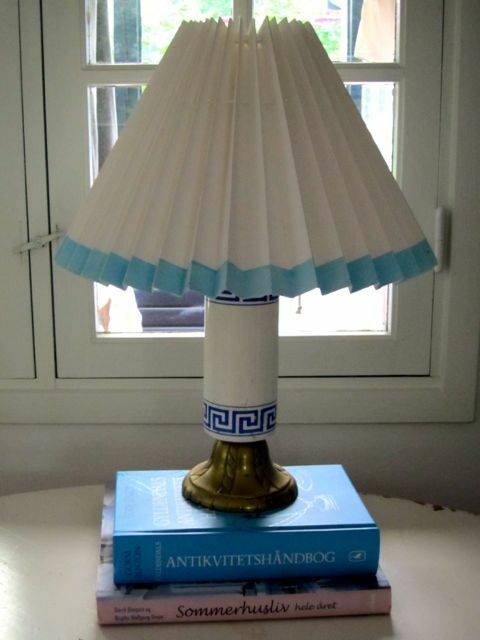 In a house in Denmark, a blue book sits under a lamp with a shade trimmed in the same color. 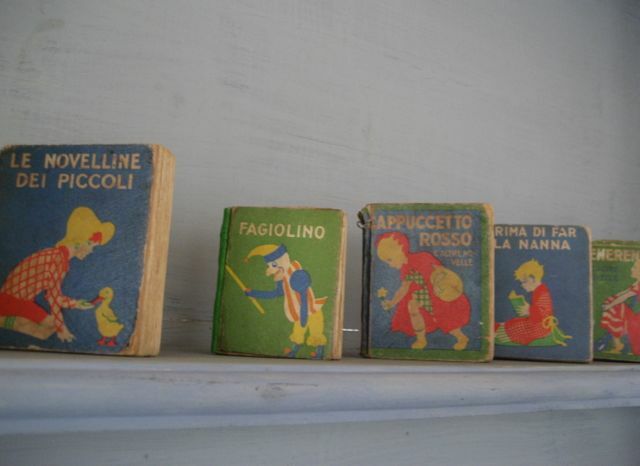 These vintage Italian children's books, in the Milan flea market, look charming standing up across a shelf. 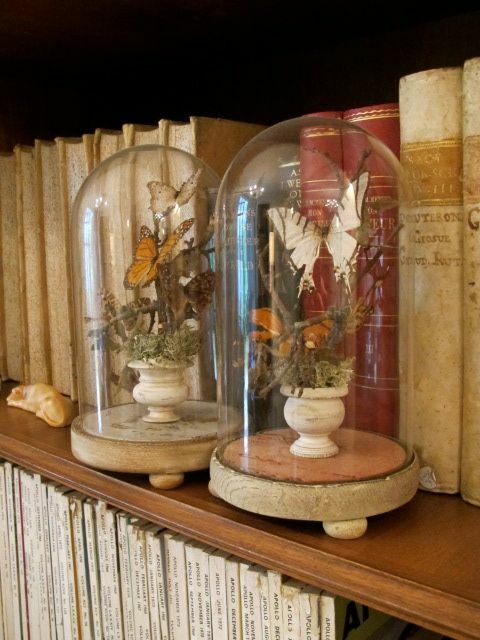 Books on shelves can also be a backdrop for art and collectibles, like these bell jars in Italy. 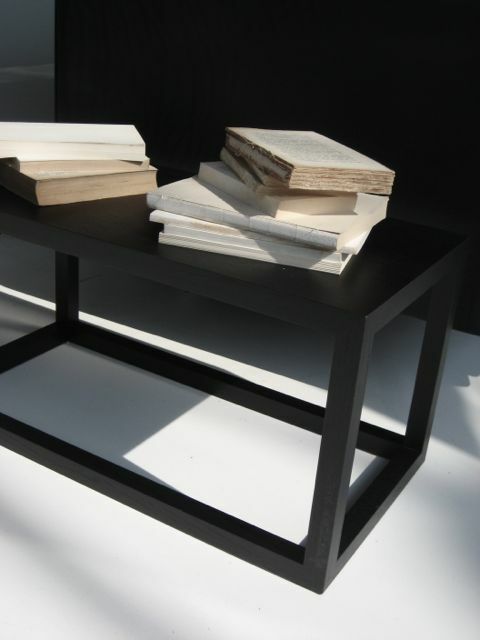 A special book can be displayed open on a table. 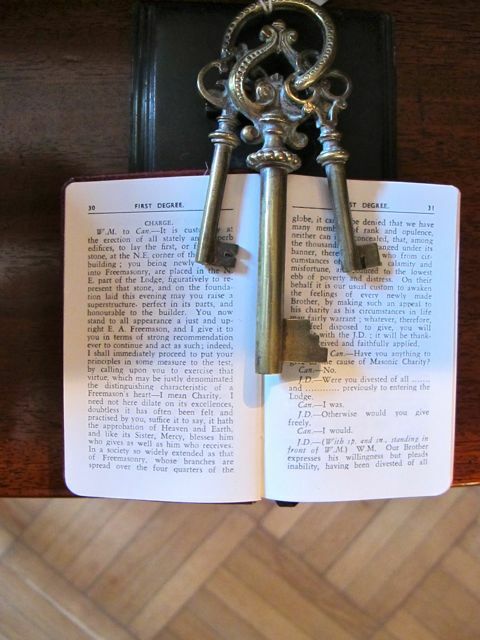 Here, in Bruges, a set of antique keys serves as a paperweight. 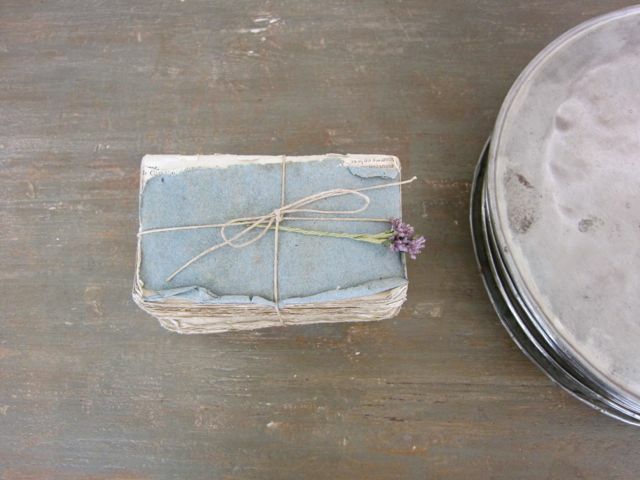 Inspired by my travels, I will often use books in styling a home. 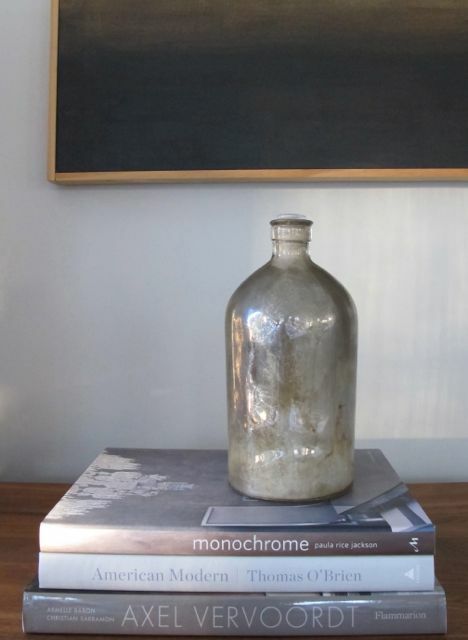 Combine contemporary art books with something vintage, like this antique mercury glass bottle from a paint factory. The juxtaposition creates a compelling vignette. 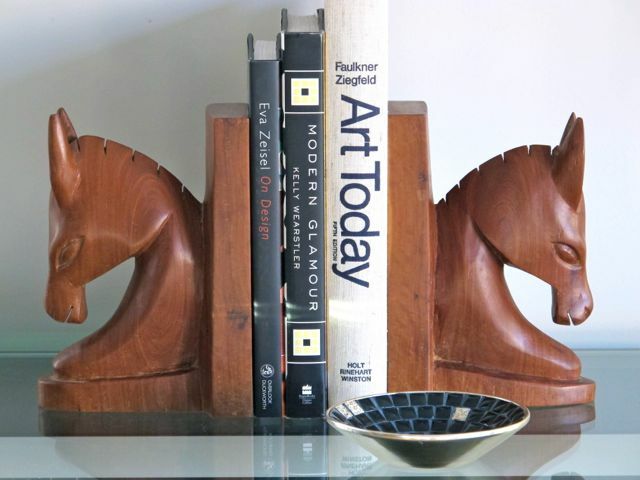 A pair of mid-century bookends sit on either side of three design books. The decorative bookends stand out because I've chosen predominantly black-and-white book covers. I added a small mid-century black-and-white mosaic dish on the table to complete the look. Alternatively, use colors that coordinate with other art and accessories. Roman philosopher Marcus Tullius Cicero said, "A room without books is like a body without a soul." Follow my blog for more travel-inspired design.